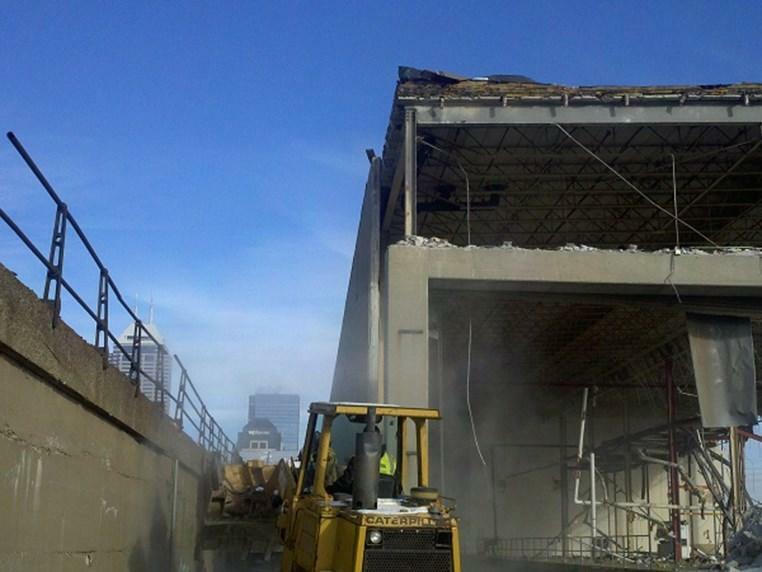 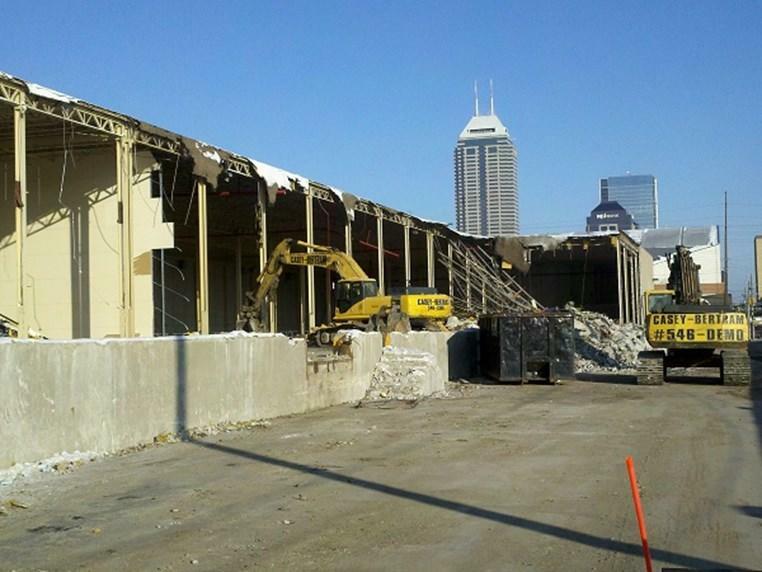 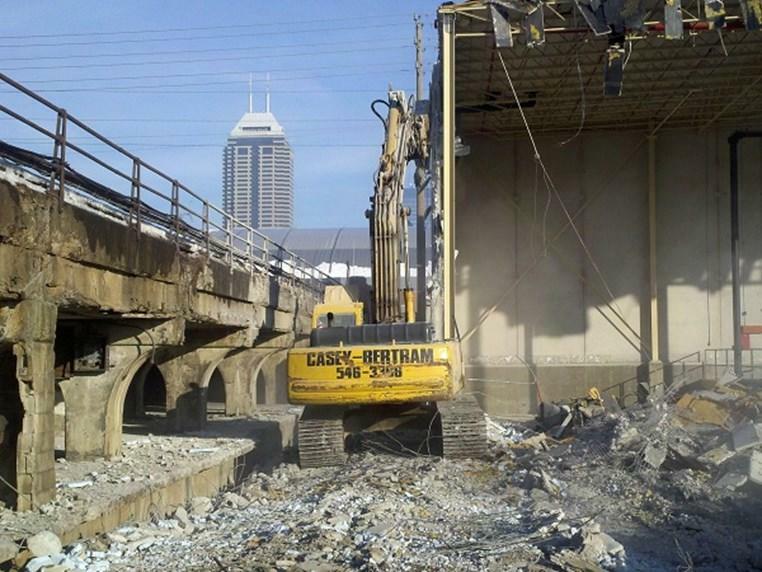 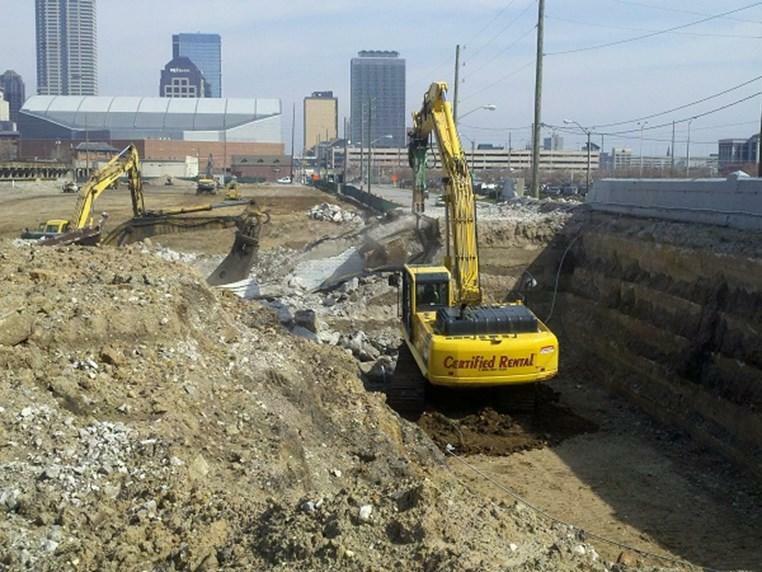 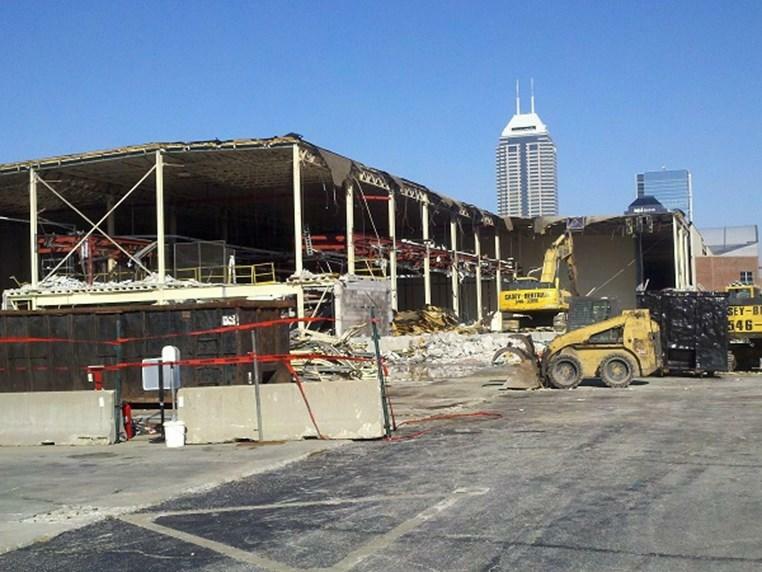 Phase 1: Casey-Bertram was hired by Buckingham Construction to remove the former Indianapolis Star News warehouse. 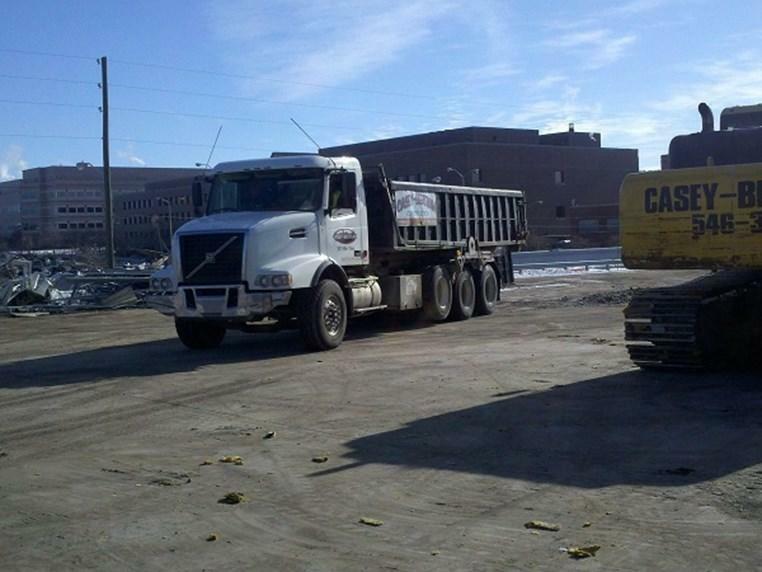 This 80,000 square foot precast concrete building was next to active rail lines 13’ to the west and overhead electric 25’ to the north. 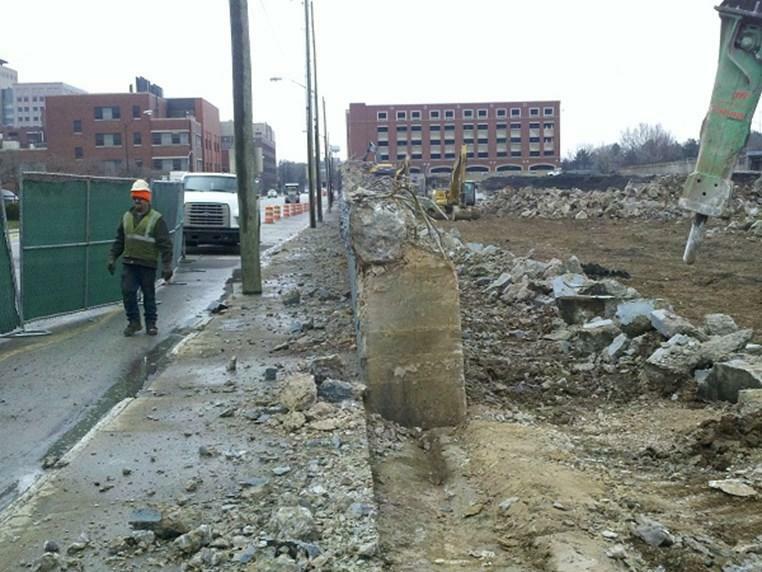 Casey-Bertram safely removed the structure complete to below grade. 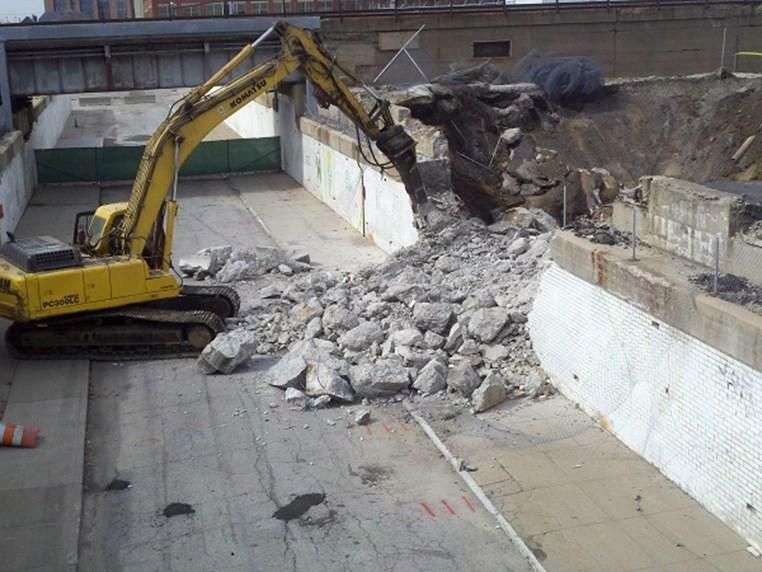 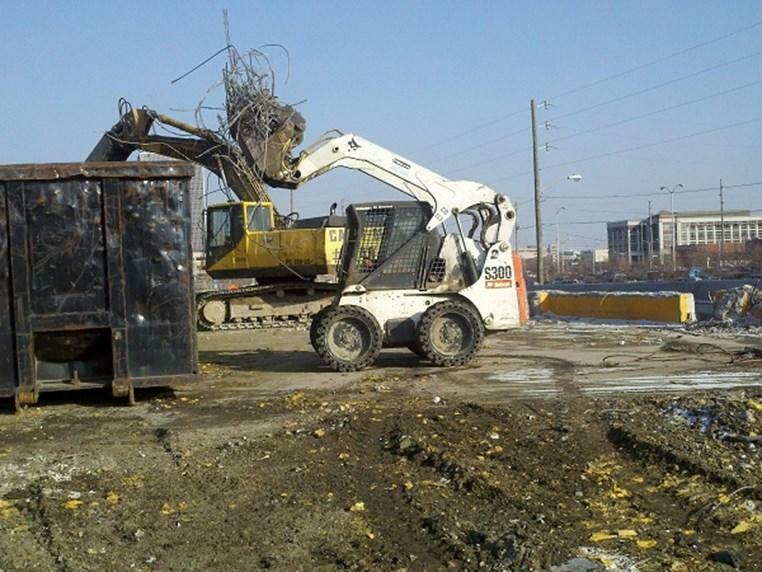 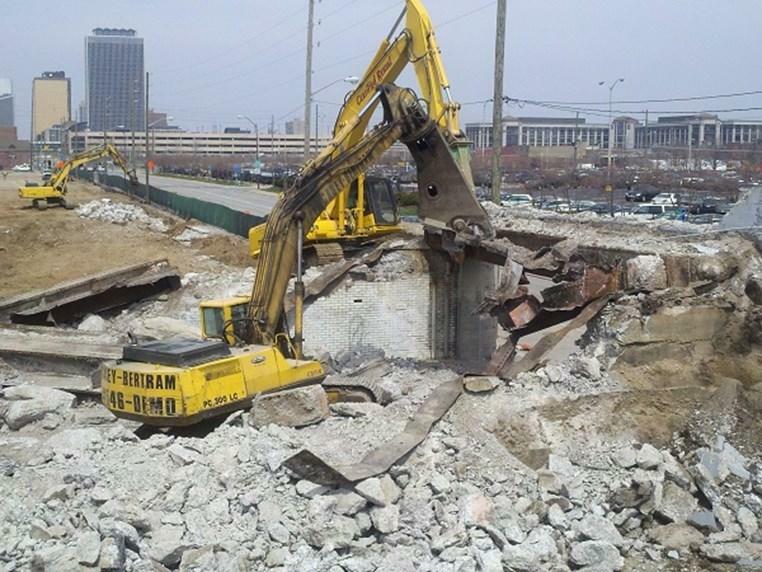 Phase 2: Casey-Bertram was hired to remove all site improvements on the elevated 240,000 square foot site. 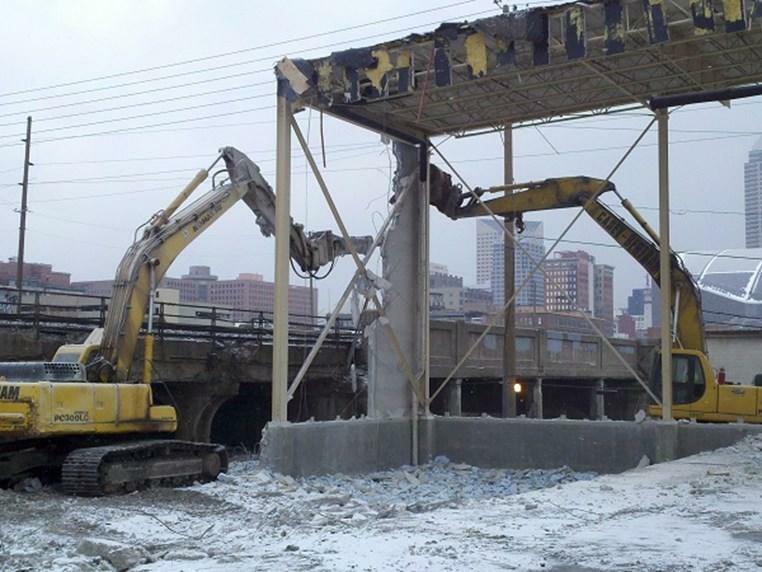 Items included a bridge demolition over Merrill Street, 1,200sf of retaining walls up to 18’ tall and 10’ thick at base, caisons to 16’ deep x 54”, and all unforeseen foundations, piping, etc. 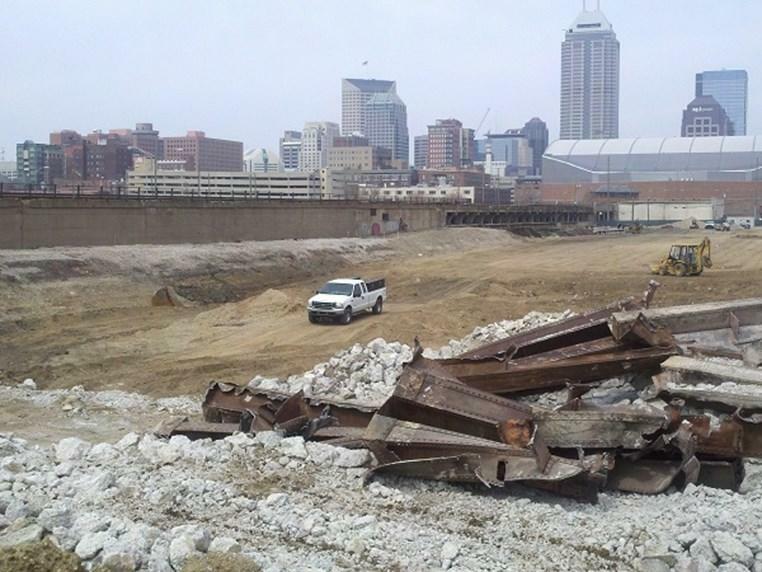 from this 100 year old site.